In recent conversation with a coworker, I faced an unsettling reality of black female influence on the silver screen. 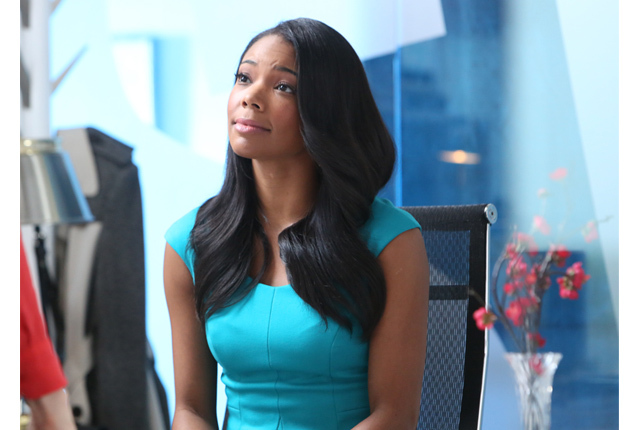 Due to our inability to talk about much else, our conversation lingered to the recent episode of Being Mary Jane. Specifically, we discussed Mary Jane’s intentional attempt to become impregnated by an ex boyfriend who currently has a pregnant girlfriend. This response is troubling as it issues the instant acceptance of Mary Jane’s actions as reflective of truth. Perhaps even more unsettling is the knowledge that my coworker’s comment mirrors the perspective of many Being Mary Jane viewers. My query following this conversation, and this particular episode is as follows: how does this advance the portrayal of black femininity beyond stereotypes? The answer is that it doesn’t. Nothing about Mary Jane’s intentional act to become pregnant with a man already expecting a child, advances the image of black women in the face of stereotypes that have come to define her. While this dynamic does not advance the image of the black women, it does paint the black woman as competitive with the white women who breed with black men** Mary Jane’s request for a baby from a soon to be new father, paints an unsettling desperation in the black woman who desperately seeks the black familial unit. Although I acknowledge the struggle professional black women face in the pursuit of a worthy mate, this depiction paints the successful woman as obsessed with drama as their less educated and less prestigious counterparts that have made a home on reality television. The inability of the series to separate the successful and educated black woman from such pettiness, suggests that the black female’s addiction to drama is ingrained and irreversible despite her education, prestige or success. ** Mary Jane’s ex, refused her advances because he impreganted his (white) girlfriend. While the previous characters and scenarios adds to the anticipated drama of the weekly series, ratings are sought at the expense of black female integrity. Mary Jane has willing suitors that all have multiple attributes to offer her, yet she continually reaches to her ex lover who is both physically and emotionally unavailable. While some may attribute Mary Jane’s actions to reflect love, they more so represent a black women who is addicted to drama. Mary Jane’s disinterest in her available suitors reflect the reality that they can’t offer her the drama promised in the pursuit of her ex lover. Mary Jane’s behavior works correlates to the dynamics of her aesthetics as presented on the show. In the episode Drink, Pray, Let Go, Being Mary Jane followed in the footsteps of Abc’s How To Get Away With Murder. Drink, Pray, Let Go features Mary Jane’s real hair. While HTGAWM features Annalise Keating (Viola Davis) having her natural hair combed by her mother (Cisely Tyson), Being Mary Jane features Mary Jane as having her weave sewn in by her niece. 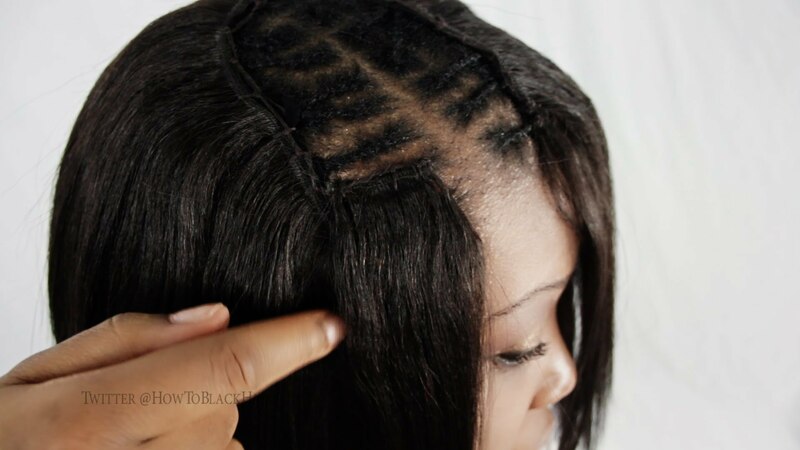 Now, I will acknowledge that the fake hair epidemic has dramatically infected the black female community. I will also acknowledge that the black female contribution to the million dollar industry of hair is a direct result of western encouragement for black women to hate the hair they were born with. The portrayals on both series do little to dispel the contemporary assumption that black women are without hair and dependent on purchased white hair to appear beautiful. So, while many may say “we do that” to the image of Mary Jane having her hair sewn in for the world to see, I say it is another step backwards into the pit of harmful controlling images of black women. As she has her tracks sewn in, Mary Jane confesses that it is out of fear that she called on her estranged niece to do her hair. Mary Jane’s fear stems from potentially appearing “au natural” and potentially compartmentalized as “average” in contrast to the glamorous, intelligent woman they have come to expect. While the silent struggle of black women to find their beauty in a white world is true, this reality should not be implemented in a scene about weave. Due to the writer’s decision to present this battle as they did, what will stand out in the scene is that Mary Jane’s hair isn’t real, and that she had her hair sewn up, like a hole in a blouse. Thus, the purpose of the scene is sidelined in the stereotypical performance of a black woman having to “put on” her beauty. This was the identical issue that I had with Viola Davis removing her wig. Yes, it demonstrates the complexities of assimilation thrust into the black woman, but moreso it simplifies her battle in performing how she is believed to behave under such pressures. But I will be honest and say that my main resentment in these portrayals is that despite being fiction, Being Mary Jane is believed to reflect the black female reality. Mary Jane, as a character on a black network played by a black actress is seen to be the contemporary black women. But, I can honestly and confidently say that I am not Mary Jane, and neither are countless other black women scattered across the black diaspora. 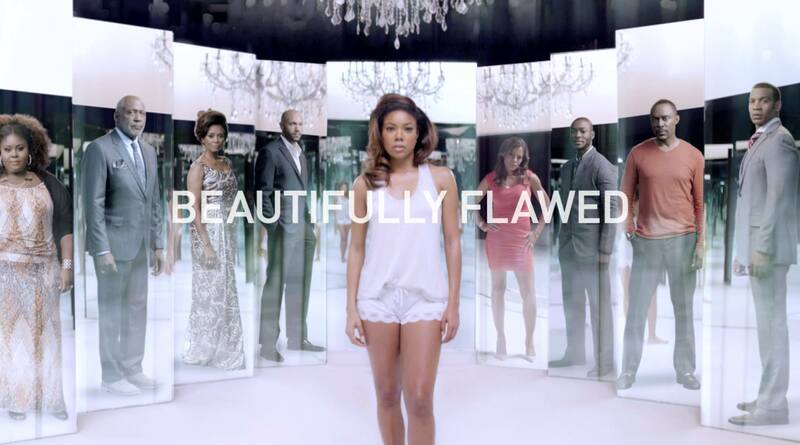 This portrayal of black femininity is potentially seen as more valid as it appoints veteran actress Gabrielle Union to the role, and finds it home on a black network. In addition to these facts, Mary Jane is also seen as the product of writer, producer and fellow black woman, Mara Brock Akil. However, Mary Jane is not Akil’s creation, she is a manifestation of the black female construct crafted of western influence. Mary Jane mimics the black women of reality television, images crafted to force black women subliminally seducing into mental enslavement. If we are mentally enslaved we can continue to be controlled, and the western world can continue to stand on our backs and use them as their pedestals. Howard University professor Dr. Greg Carr once said “ nothing has been done for the black community that hasn’t benefited western society.” This statement ran through my head for years after he said it, and it bears so much truth in the recent influx of black female faces on television. While the influx of black female faces sparked initial celebration in the black community, these images have only been used to imbed our complexities, not solve them. In three short years we went from the promise of Olivia Pope, to the sapphire- esque Cookie of Empire. Three years created a mirage of black faces carefully picked to remind black viewers of themselves, Appearing to paint black portrayal as linear, each black face that appears on the silver screen is carefully selected to remind the targeted black viewer of themselves. However these our move from Olivia Pope’s natural wet hair in the shower to Keating’s wig removal to Mary Jane’s sewing session, reveal the state of black female portrayal as circular and consistent in returning to the stereotypes that have followed us for centuries. I don’t think this is a good look at all! I hope this is not what sistas are about. Trying to get pregnant like that?? That’s not cool at all. We need some positive images for the young black girls out there. “Mary Jane’s behavior works correlates to the dynamics of her aesthetics as presented on the show. In the episode that aired on Tuesday, March 17th, Being Mary Jane Following in the footsteps of Abc’s How To Get Away With Murder, Mary Jane reveals to viewers the inauthenticity of her locks. While HTGAWM features Annalise Keating (Viola Davis) having her natural hair combed by her mother (Cisely Tyson), Being Mary Jane features Mary Jane as having her weave sewn in by her niece. It seems the hair issue just wont go away. But I definitely see your point here. I’m just kind of surprised that Mara Brock Ali would highlight this issue. I guess she sees it has “keeping it real”. I guess it’s real in a sense. I know black woman have serious issues with their hair. Some might be able to relate to Mary Jane’s hair predicament. But I agree,that in may ways it shows mental enslavement. You summed it up perfectly Saaraa! You took the words right out of my mouth! I guess this realness just serves no purpose for me. Blacks are constantly depicted as self hating whereas other groups are seldomnly display their own insecurities.We never see the sprint white folks take to the beach or white women clipping in hair or women of other races wishing for big booties and full lips. Can’t argue with that sis!